With my latest post I started a series of reflections on the concept “Digital Divide 4.0” (see my previous post ). These reflections have been inspired by recent experiences with fieldwork for our ongoing EU-funded Learning Layers (LL) project and in particular with its key product the Learning Toolbox (LTB). In particular these thoughts have been triggered by our LTB workshops (covered in my earlier posts) and our working visit to the construction sector training centre Bau-ABC. With this blog I try to give insights into our observations on ‘digital divide 4.0’ in the beginning phase of the LL project and into the role of our project work in overcoming such divides. Here I would like to emphasist the role of participative design processes, capacity-building measures and the user-driven deployment of LTB in the training activities of Bau-ABC. In the beginning phase of the LL project the ITB team carried out several interviews among Bau-ABC trainers and representatives of craft trade companies regarding their use of digital tools, web platforms and mobile apps. Likewise, we carried out (in collaboration with Bau-ABC) a user survey among the Bau-ABC apprentices. Without going into details, both the interviews and the survey gave a picture of a scattered landscape of stand-alone tools, apps and platforms. The trainers and company representatives had looked at different sites but were not convinced of the quality – it was difficult to distinguish, what tools/apps were meant for professional use and what for hobbyists. The apprentices new very few of them and had hardly any experience with them. In general, this picture corresponds with my characterisation of ‘digital divide 4.0’ (see my previous post). Both our interview partners and the apprentices responding to the survey were users of smartphones, had acquired a considerable web capability and were exploring, how to use the new tools and technologies. Yet, the trainers and company representatives experienced a kind of Tantalos-situation (see my previous post) – having a multitude of possibilities but not getting a hold of them. Likewise, the apprentices were frustrated because web tools, apps and mobile devices played no role in the training. What was the role of co-design processes and multimedia training? In the co-design workshops with Bau-ABC trainers we were looking for ways to support their pedagogic approaches (action-oriented learning, self-organised learning) in context-specific training projects. Likewise, in the workshops with apprentices we were looking at characteristic working tasks and specific situations in which digital tools would be useful. This all was fed to the development of the Learning Toolbox. In August/September 2014 the Bau-ABC colleagues couldn’t participate in the LL consortium meeting in Tallin. Instead they prepared a video message that was later on edited into short videos. These outlined different contexts for using the Learning Toolbox in the training of Bau-ABC and in different work situations. In one of the videos four trainers discuss their pedagogic principles (action-oriented learning; self-organised learning) and how they see the possibilities to promote such learning via Learning Toolbox (see below). In May 2015 the Bau-ABC trainers made an interim assessment on the earlier Multimedia training (2013 -2014) and on their internal follow-up (2014 -2015). They came to the conclusion that Bau-ABC needs to organise a training scheme for the whole trainer staff to bring the media competences to a common level and to work out joint approaches for using the respective tools, apps and platforms. This provided the basis for the Theme Room training campaign that was implemented in November 2015 by tutors from Bau-ABC, ITB and Pontydysgu (with on-site support by Jaanika Hirv from TLU). This campaign was a major step forward to prepare the Bau-ABC trainers to take the role of active users of the Learning Toolbox. In the trade of well-builders (Brunnenbauer) the emphasis was given on a specific project folder that is supported by content tiles (Reference materials) and collection tiles (photos and videos). When the pilot group of well-builder apprentices moved on to training periods in other trades (metalworking, borehole building), the trainers in these trades provided similar project folders. The joint project of carpenters (Zimmerer) and bricklayers (Maurer) was based on a common mother-stack that was linked to daughter stacks that presented the respective subprojects to be carried out during training periods in the respective trades. In addition, the mother stack provided links to other daughter stacks that provided collections of tools and of further learning materials. From the pedagogic point of view the trainers had set somewhat different accents. Some of them put an emphasis on equipping the apprentices with comprehensive sets of reference materials and challenging them to do selective and searches for their purposes. Here one could use the metaphor of ‘well’ for the stacks as stable learning resources. Other trainers put an emphasis on curiosity- and interest-based learning and with respective opening of new pages or tiles for apprentices. Here one could use the metaphor of ‘watering cans’ for the stacks as learning resources that are adjusted to the learners’ progress. Consequently, their apprentices have developed either explorative or level-by-level progressing learning approaches. From the infrastructural and organisational points of view the trainers concluded that the deployment of Learning Toolbox had been carried out as a limited pilot. Now the time had come ripe to make commitments for the whole organisation (including the infrastructure and the availability of mobile devices for all training areas). The apprentices had experienced difficulties due to limited internet access – both in the training centre and even more when they were on construction sites. Yet, they emphasised the advantages of using Learning Toolbox vis-à-vis the time when they had not had such a toolset. Also, they put a major emphasis in having the necessary tools in an integrated and contextually adjusted set. However, very few had been able to convince their employers or supervisors of the benefits of the Toolbox. Here, it apparent that the company representatives have to find their own ways to use such a toolset and to become aware of the benefits from their perspective. I believe this is enough of our learning journey in the context of the Learning Layers project and with focus on the project activities in the construction sector training centre Bau-ABC. To me this story serves as an example, how participative design process, capacity building and user-driven tool deployment can work well in the long run. As I see it, we started in a situation that could be characterised as ‘digital divide 4.0’ and worked through processes that helped us to overcome such divides (including us as researchers and our counterparts in the training centre). However, the story shows that we need extra efforts to help the construction companies to find their ways forward. I will get back to this in my next blog. On the 30th of November and on the 1st of December our EU-funded Learning Layers (LL) project had its third annual review meeting at the European Commission premises in Luxembourg. In the previous post I reported on the presentations of the first day: the coordinator’s overview and the two major presentations on the sectoral pilots in healthcare and in construction. This post discusses firstly the presentations of the second day – on the development of the LL systems architecture and on exploitation activities. Secondly this post discusses the comments of the reviewers on our work. In the first presentation session Ralf Klamma and Istvan Koren (RWTH) gave insights into the development of the LL systems architecture. The main emphasis was given on the development of ‘Layers Box’ as a ready-to-deploy, custom packaged infrastructure for SMEs (small-scale package), networks (medium-scale package) or hosted service. The second major point was the shaping of the DevOpsUse Lifecycle as a model for developers’ and users’ interaction when using Layers’ Box. This was followed by an online demonstration, how the LL systems architecture had been developed during the year three. In the second session Raymond Elferink and Gilbert Peffer introduced the LL approach to exploitation activities based on the ‘incubation model’ introduced last year and on the Exploitation Launchpad workshop that was organised in the Year 3 Design Conference in Espoo. Then the two pilot sectors presented their exploitation initiatives. Afterwards we had presentations on the exploitation initiatives related to the AchSo! and Social Augmented Reality tools and on the work with managed clusters. Finally we had an input on exploitation with Open Source communities. In this context the Construction pilot team emphasised the exploitation activities with different variations of the framework for mobile apps and tools – the Learning Toolbox (LTB). This approach is to be implemented via further development of the training initiatives (Theme Rooms and other training services) of which we reported in the sectoral presentation on the first day. As an extension of these activities we indicated several new projects to be started with construction sector application partners in the beginning of the year 2016. For further stakeholder engagement we referred to our exchanges with representatives of Activity Theory and on their experience on Change Laboratory methodology. Finally, we outlined a timeline for the construction partners to match their plans for sustaining technical support services and training services in order to bring new users and external service providers into picture. Throughout the meeting the reviewers gave positive comments to us on the progress with the tool development and in the pilot deployment. They saw a great potential in the linked tools and integrated toolsets combined to capacity-building and strengthening the multiplier-organisations (e.g. Bau-ABC and Agentur) as service-providers. We got a clear signal to emphasise exploitation activities and to provide evidence (indicators) on the use of our tools in working and learning contexts in the pilot sectors. Here, we should present examples, how changes of work practices are instilled by the introduction or our tools. We were also encouraged to seize to deploy the tools with other users and occupational areas that were not anticipated in the Description of Work. Looking at more detailed comments, we were recommended take rapid steps in making clear agreements on the Intellectual Property Rights issues related to the emerging tools. (Partly this has been included into the plans that we outlined in the meeting.) Furthermore, our technical partners were advised strongly to integrate the work with capacity-building and communication flows from fieldwork to their process model of DevOpsUse. The partners working with sectoral pilots and exploitation initiatives were recommended to look more closely at possibilities to use Change Laboratory methodology in the follow-up activities. Altogether, the project was characterised as a promising one – not merely in the light of what it has achieved in terms of promising prototypes. The expectation is that the products and related working patterns can be sustained after the project and will have further impact in practice. I think this was the essential message that we got from the review meeting. It is now our task to take these comments and recommendations on board in the final year of the project work. In Luxembourg we already started our preparation for our next consortium meeting after the holiday break. There is more work to be done in the new year 2016 but now it is time to take breath. On the 30th of November and on the 1st of December our EU-funded Learning Layers (LL) project had its third annual review meeting at the European Commission premises in Luxembourg. As usual, the consortium had gathered in advance to finalise the presentations and to ensure that we pass a coherent message. The presentations on our work in the pilot sectors took place on the first day of the meeting. On the second day we had shorter presentations on the development on the technical infrastructure and on the exploitation initiatives. Then the reviewers finalised their feedback and presented their main points to us in the final session. This first post gives insights into the presentations of the first day. The second post discusses the presentations of the second day and the comments of the reviewers. Continuation of co-creation with stakeholders. This overview was followed by presentations from the two pilot sectors – healthcare and construction – including the presentations/demonstrations of tools that were used in these pilots. 1) The first story – Individual reflection on experience (with patients and its enhancement) into shared learning – focused on the use of Bits and Pieces as tool for archiving, sensemaking and reflecting on work experience. Here the story focused on the needs for antibiotics and issues on sensitivity, allergies and resistencies. In this context the iterative process of tool development was made transparent. In the final phase the material that had been structured was communicated via Living Documents into a trusted communication platform to be shared with other healthcare professionals. 2) The second story – The working group to develop the trainee doctors’ programme – focused on the use of Confer as a tool for progressive inquiry, search for advice and/or collaborative group work. Here the story raised the issue, how to make best use of the very short time for practical training (1,5 hours) and the GP practices. The demonstration showed, how the Confer tool gave structure for the conversations and helped the working group to proceed through predefined steps and reach the phase of recommendations. Here again, the use of Living Documents was introduced to present the results for a wider audience and to enable further conversations based on the recommendations. Here, both stories highlighted the interoperability of the LL tools. The presentation then gave insights into the role of Social Semantic Server (SSS) and of the Intradoc environment as technical support. Finally, this presentation was concluded by results from interim evaluation and on plans for final evaluation during the final year of the LL project. the Finnish pilot activities initiated by the company Skanska, the construction trade union and vocational schools (with interest on documentation of workplace learning). This was followed by an online demonstration in which Raymond Elferink (RayCom) presented how Learning Toolbox can be used by a Bau-ABC trainer to prepare stacks of digital contents, to send a related task to apprentices working at distance and to monitor the reception of the message. Marjo Virnes (Aalto) took the role of an apprentice and recorded a video with the AchSo! tool that presented a safety hazard risk at workplace. She then annotated the video and shared it with a group (using all the time AchSo! via LTB). Raymond then took the role of another apprentice and received the shared video via his smartphone (using AchSo! tools that was integrated into LTB). After these demonstrations Melanie Campbell (Bau-ABC) informed of the Multimedia training program based on the Theme Rooms (see my previous blogs) and on the role of this training in enabling the Bau-ABC to become a stronger multiplier-organisation for the LL tools. Michael Burchert (Agentur) gave insights into the possibilities to link the use of Learning Toolbox to the recently opened permanent exhibition on ecological construction work and to related training events. Marjo Virnes presented insights into the Finnish pilots with AchSo! as a stand-alone tool and on the results of their field studies. In the final phase the presentation was complemented by inputs on the role of Social Semantic Server, then on the role of our theoretical work in the project (as support for design activities and training) and on the evaluation activities (interim results and plans for year 4). Here again, we presented an integrated story that brought together different pilot contexts and the work with integrative toolsets. At this point we reached the end of the first day. I will report on the further presentations and on the feedback from reviewers in my next post. My latest post on the EU-funded Learning Layers (LL) project was written just when I started my summer holidays. This year the holidays in North Germany (and in our application partner organisations) started relatively early. Therefore, when I/we were already on holidays, there was this and that happening at the consortium level and in other fields of work (in particular in the healthcare sector in UK). Therefore, it is appropriate to do some stock-taking to make sure that our fieldwork is fits in the plans of the consortium and takes into account the progress in the healthcare sector. With this post I try to summarise the recent discussions at the consortium level – mainly on the preparation for the Year Three review and the implications for our fieldwork. In the next post I will have a look at the recent progress of the LL work in the healthcare sector. The first steps of the recent discussions were already taken in the Consortium meeting in Tallinn (in June 2015, see my earlier blogs). Already there we agreed that we should try to make our contributions for the Year Three review meeting more coherent. The plan was to put integrated stories of LL work in both pilot sectors (healthcare and construction sectors) into the centre. In a similar way we should make visible the progress in tool development and implementation with integrated demonstrations (linked to the stories). Parallel to this we should reduce the number of deliverables into five thematic reports (and indicate, how the work of eight work packages is represented in them). 1) Concerning integration of technologies we have the challenge to show how the infrastructural solution (“Layers box”) and the integrative tool set (“Learning toolbox” – LTB) can be implemented in application partner organisations (such as the training centre Bau-ABC and the Agentur). 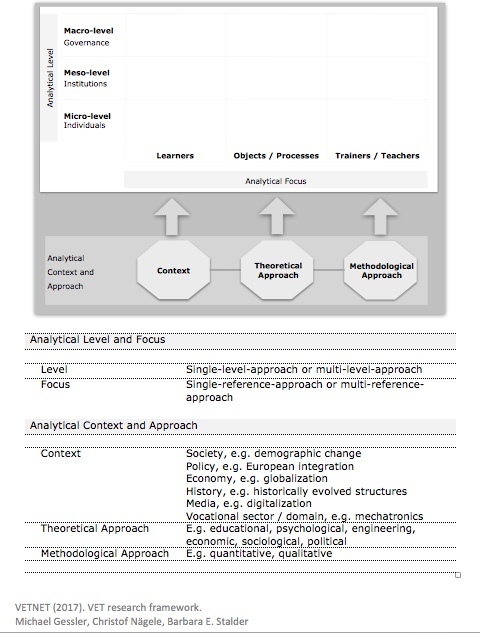 2) Concerning the integration of tools we have the challenge show, how the integrative tools set (LTB) enables us to use different LL tools and apps (and third party apps) in working and learning contexts (such as the Bau-ABC training projects). 3) Concerning the context-specific use of tools we have the challenge to make progress with trainers and learners so that they are able to create their own LTB-stacks to guide and implement training projects. 4) Concerning capacity building we have the challenge to make progress in implementing the Bau-ABC training model (the “Theme rooms”) that caters for organisation-wide engagement of staff to become well-informed and active users of LL tools in their work. 5) Concerning evaluation activities we have the challenge to arrange the collection of real-time evaluation data and reflection on the processes during an intensive field test phase. Obviously, we have all agreed on the general direction and there has been progress along these lines both at the level of tool development and in user engagement. Yet, we can see that there are technical issues, coordination issues and time constraints that we need to take into account when we start working with the field activities. But, knowing what has already been achieved, gives us a good starting position. I guess this is enough on this topic. In my next post I will look at the progress in the healthcare sector.